Sunderland certainly have one man to thank after succumbing to a disappointing 1-1 away draw against Oxford United at the weekend. The Black Cats are going through a rough patch at present and will be looking to get back to winning ways as quickly as possible, after a very disappointing second half display at the Kassam Stadium. 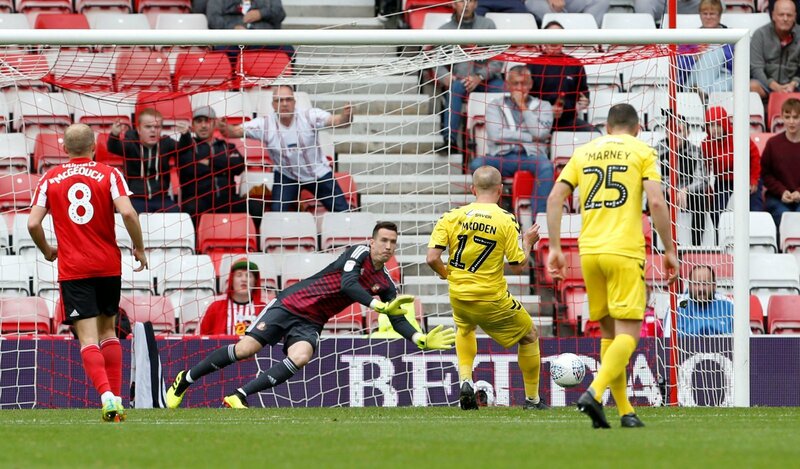 Jimmy Dunne had put the Black Cats ahead just after the half hour mark, but allowed Oxford to dominate for large parts of the second half, with Jon McLaughlin pulling off some magnificent saves to keep Sunderland in front. But Oxford’s pressure finally paid off when Marcus Browne put Karl Robinson’s men on level terms, condemning Jack Ross’ men to yet another draw in their hunt for automatic promotion this season. Exactly If we didn’t have McLaughlin we’d be lucky to be in top half of table!